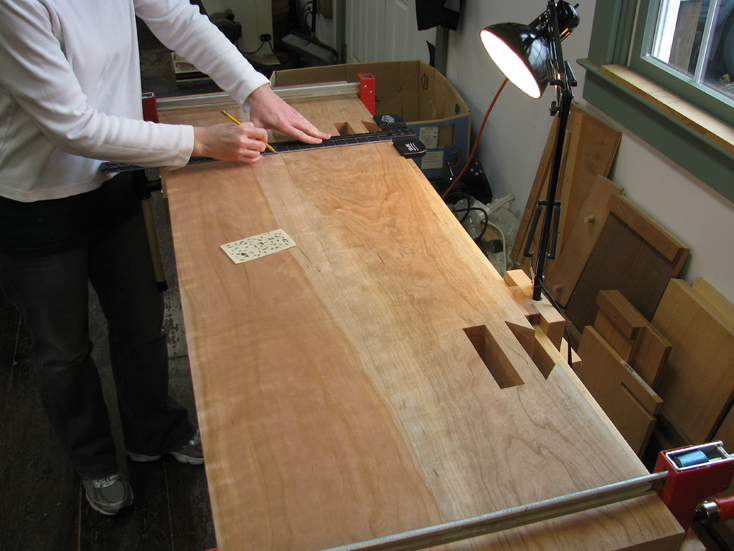 A few people have asked about the two boards that make up the top of my workbench. Here is my design so you can see what it will look like. 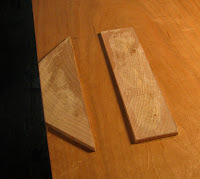 I do not plan to glue the two boards together. 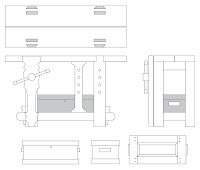 That way, I can more easily remove the top by myself when I need to take the bench on the road. Half a bench or skinny hall table? 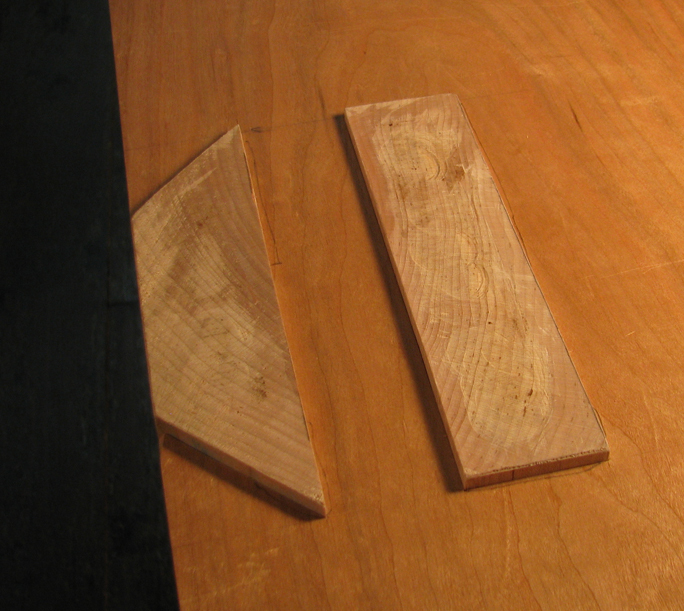 The two boards will be separated by about an eighth inch gap. Because it's winter (low humidity), I'll keep an eye on the space, and as we approach Pennsylvania's 75% summertime humidity—and the boards expand like my waistband at Christmastime—I can shave off some wood in between the two. 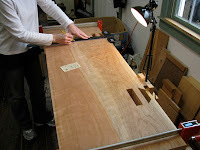 The boards will be supported by upper stretchers on the end assemblies. I'm hoping that with each board pinned to two legs and supported by the short stretchers, it will keep the top stable. If they slide at all, I'll need join the two boards with something that still allows them to be separated for disassembly. The long lower stretchers will be tusk tenons so they can be removed. 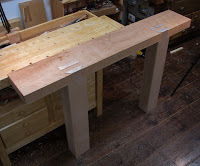 Both sets of short stretchers, upper and lower, will be mortised and glued into the legs. 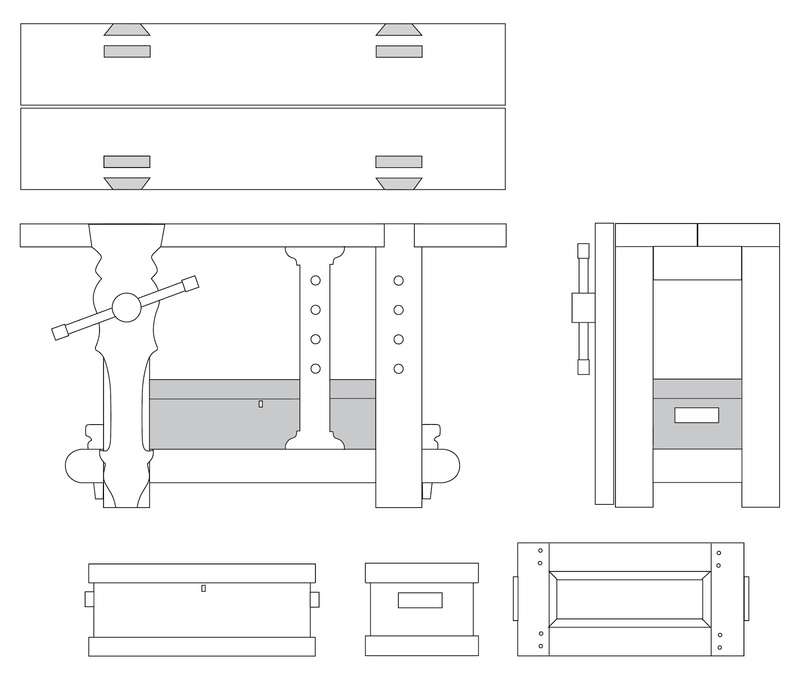 I plan to build a separate tool box that will sit on cleats that are attached to the lower stretchers. I may or may not build a sliding deadman. It might not be necessary because the bench is so small, but it adds a coolness factor. And I'm all about aesthetics. The leg chop will reflect my love of all things Pennsylvania German. I may tweak the design once I get to that part of the build but you can bet that it will have curves. I'm fitting the third leg right now. Tenon/dovetail number two fits really well and took less than half the time. I sped up my time once I stopped paring like a girl.